Keith Richards always seemed like the down-to-earth, somewhat approachable one in the Rolling Stones, the one who you could probably hang out with and get along just fine, even if he is megarich and has been famous for pretty much half a century. 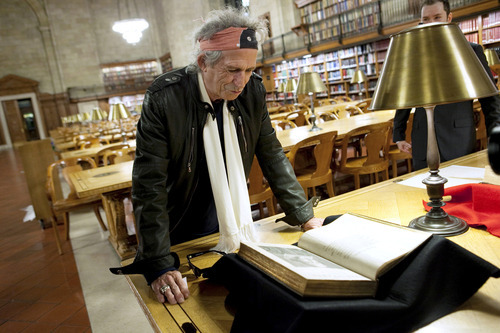 Today is Keef’s 70th birthday, and apart from the unfeasibility of him reaching that mark given his, um, adventurous lifestyle over the years, it seems like a fine time to break out what’s become something of a Flavorwire tradition: some photos of our hero doing normal things! He’s just like you and me. Sort of. Happy birthday!